Van Gogh Charter was awarded California Distinguished School Status on April 15, 2008. 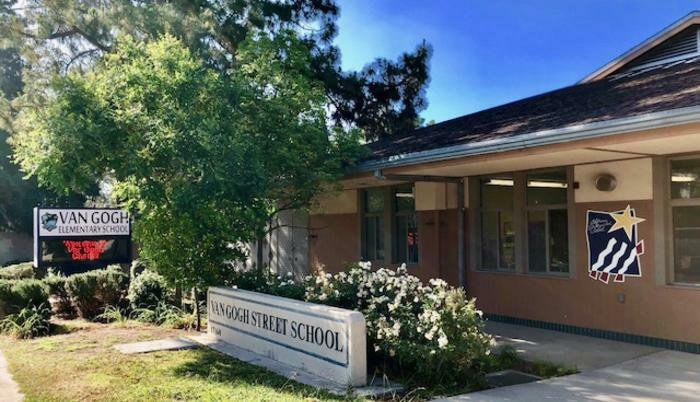 Van Gogh Charter Elementary became an affiliated charter of LAUSD in 2012. Van Gogh is located across the street from Bee Canyon Park, in a quiet Granada Hills neighborhood. The school originally opened in 1968. However, much of the Van Gogh campus was rebuilt after the 1994 Northridge Earthquake. Van Gogh Charter is on a traditional one-track school calendar.